Lab Supply has a great selection of products for all kinds of animals, including Certified Bio-Homes for Rats. Being certified means that these homes are contaminant-screened, so they are perfectly safe for your rats. 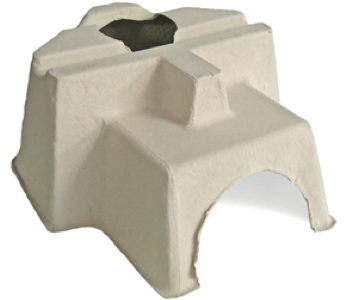 Made of non-recycled, 100% virgin wood pulp, Bio-Homes provide sheltering and nesting opportunities and is naturally flavored with whole vegetable powder. If you would like to know more about our Bio-Homes for rats, please click here to view these products in our store. Here at Lab Supply, we are committed to making sure you find exactly what you are looking for. If you have any questions about our Bio-Homes or any other products we offer, then please click here to visit our contact page. We will be more than happy to answer any questions you may have.